This year alone more than 3000 brick and mortar retail locations are expected to close due to online sales competition. Millennials often report doing things like going to a store to see something in person and then buying online to get the best deal or basing which store they go to on whether their website shows inventory information in real time. Retailers have to keep up with changing customer habits by giving consumers the information they want and matching online retail prices whenever possible. More than half of Millennials will use their smartphones to search for a coupon or discount code while in the store, so capturing that audience while they have their wallets out is crucial. Social media is another important piece of this smartphone/internet puzzle. Millennials often turn to online customer service first before telephone and in-person customer service, so being responsive online is key to gaining Millennial consumers. Nearly 85% of Millennials use their phones in store for assistance on a purchase, and again it’s crucial to reach them while they have their wallets out. Even though blame is often heaped on the Millennial generation for being careless and selfish, their retail habits do not reflect those attributes. Millennials invented the sharing economy and take part in it more often than any other generation, sharing rides and homes instead of owning cars and houses. They frequent thrift shops instead of buying new, and thrift shops as a category are growing 20 times faster than traditional retail outlets. In short, Millennials are not only being more frugal with their hard earned dollars, they are also making decisions based on their desire to do better for the environment. In addition to being socially and environmentally conscious shoppers, Millennials also want to be able to share their experiences with friends on social media. Experiences are much more important than things, and Millennials are more likely to spend money on experiences they can document on social media. Millennials want to experience things IRL and share it all over social media, and brands need to adjust their strategies accordingly. Millennials both give feedback online and listen to online feedback given by peers, they reference specific brands in blog and social media posts, and they are willing to give feedback via surveys. Nearly half of Millennials report wanting to do business with companies that are environmentally conscious or support social causes. There are ample opportunities for brands to learn what Millennials want and act on it if they are willing to listen. Is Your Brand Listening To Millennials? We all know that if you don’t adapt, you die. 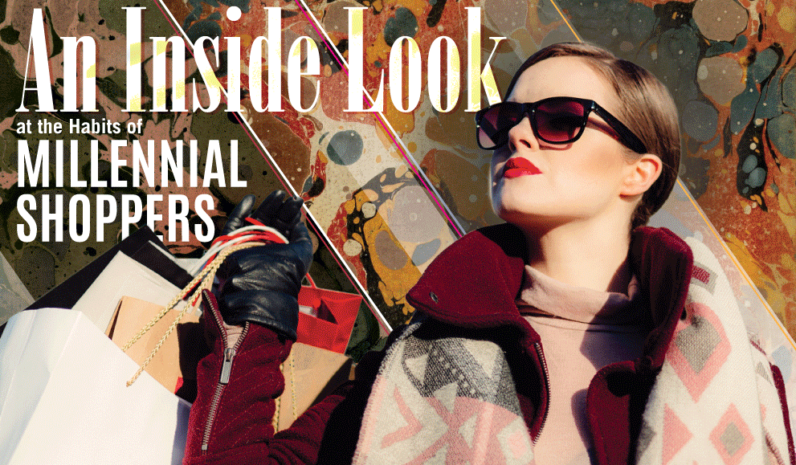 We are seeing a massive die-off of retailers that have been through decades of change but somehow just aren’t making the changes necessary to attract Millennial consumers. It may be time to take a good hard look at your company’s marketing practices and ask yourself: have we adapted to meet the needs of Millennial shoppers?